Marian Goodman Gallery is very pleased to announce an exhibition of new work by Thomas Struth which will open to the public on Thursday, April 7th and will run through Saturday, May 7th. 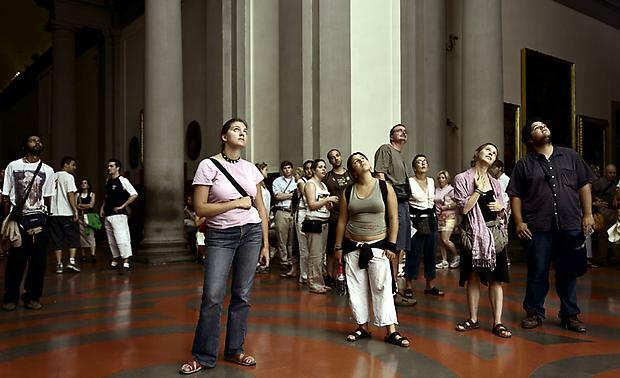 On view will be a new series of photographs taken by the artist at the Galleria dell'Accademia in Florence titled Audience, as well as a new video work, Read This Like Seeing It for the First Time. Both will have their U.S. premiere in this exhibition. Since 1989 Thomas Struth's museum pictures have depicted architectural monuments and museum interiors—rooms of history —in relation to their audience, in which the subjects themselves become part of the portrait. In his new body of photographic work, Struth uses his signature position of precise observation to shift his perspective, providing an epic and panoramic portrait of the audience in relation to art. This change in Struth's pictures, in which the artist inverts his gaze transposing it to the viewpoint of the artwork, permits a singular exploration of new subject matter. 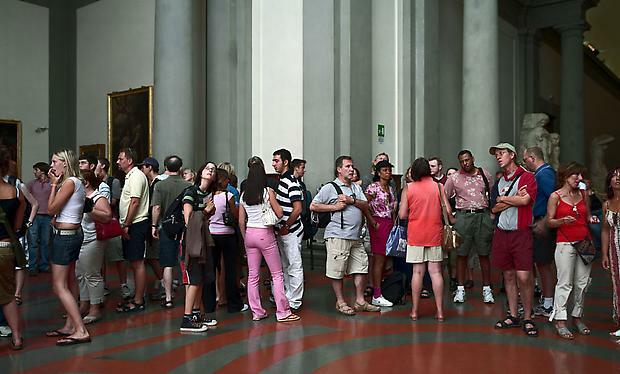 A photographic study of anonymous crowds and museum visitors without the artworks, the Audience photographs capture the unguarded moment and the psychological dimension of people within their own experience and time. 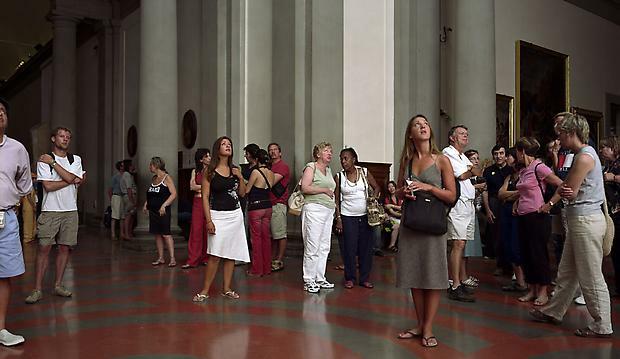 Audience I-III were presented in November 2004 at the Galleria dell'Accademia in Florence in a special exhibition in which the contemporary meets the classical. The show titled Forms for the David, was curated by Bruno Cora on the occasion of the quincentenary of Michelangelo's David and includes works by Struth, Kounellis, Fabro, Baselitz, and Morris. 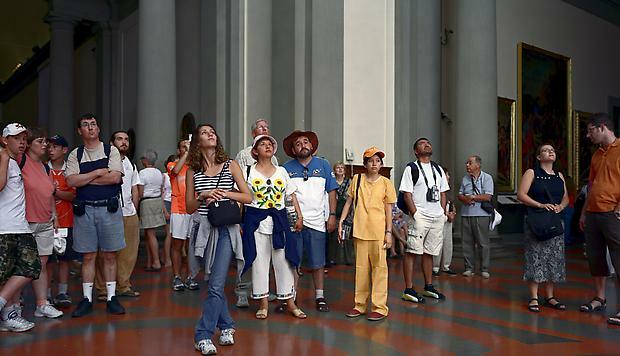 As Struth has long been interested in photographing the art viewing public as subject matter, this historic occasion of the 500th anniversary of a Renaissance masterwork provided him with the perfect site: that of one of the most recognized sculptures in the world by which the audience is so clearly dazzled that they can be photographed without the photographer being noticed. filmed portrait of a series of music lessons conducted by the guitarist Frank Bungarten with his guitar class from the Lucerne Music Academy. Recorded on June 7th-8th 2003 in the Auditorium of a Swiss high school (Freies Gymnasium, Bern) the film is a five-part sequence of four private lessons and one lesson with a quartet, with a total of 12 students both playing and listening. 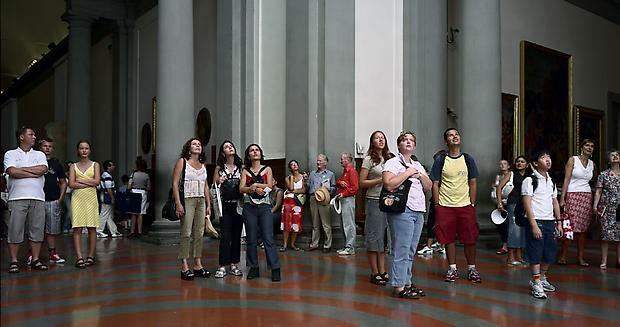 The film was first shown during the Bern Biennial 2003, on the occasion of the opening ceremonies of a new Graduate School of the Arts in Bern, Switzerland. "Playing is beginning over—again and again. In that respect the use of music as subject matter becomes a medium for reflection on art. 'Read this like seeing it for the first time', Bungarten advises. Everything is geared towards being open to moments of interpretation, suspending judgment, becoming conscious of ingrained patterns of perception, and towards acquiring insights into one's own personality, which ultimately determined the handling of his/her instrument. The act of recording the music lessons creates a new unity of sound, image and language… It is the change genre, from vision to sound, that gives the video this freedom to reflect on artistic attitudes. Bungarten: 'Music is ephemeral'. And in that respect, according to Struth, photography and music meet; they are both of the moment. The photographer is ultimately also an interpreter: the interpreter of a situation, which turned it into a place—an unconscious place." (Parkett No. 68, October 2003). 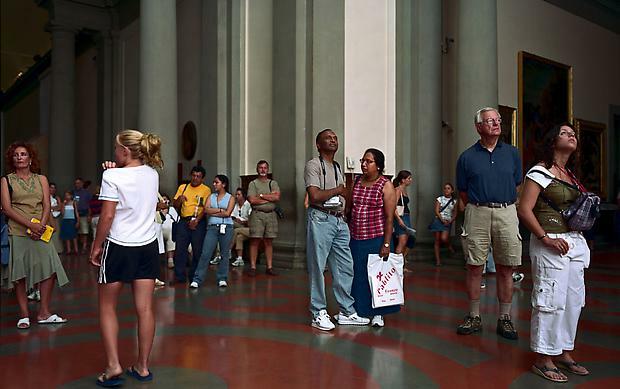 Thomas Struth's work was recently the subject of a U.S. retrospective exhibition which toured in 2003 from the Dallas Museum of Art, to MoCA, Los Angeles, The Metropolitan Museum of Art, New York; and the MCA, Chicago. Current one-man exhibitions of his work include a solo show at the Museo de Arte Lima, Peru which opened on March 22nd and will run through May 15th, 2005. He has been included in several group exhibitions, including the Friedrich Christian Flick Collection which was on view through March 28th at the Hamburger Bahnhof Museum für Gegenwart, Berlin. His work can currently be seen in Contemporary Voices: Works from the UBS Collection at the Museum of Modern Art, New York, on view through April 25; Universal Experience: Art, Life and the Tourist's Eye, Museum of Contemporary Art, Chicago, on view through June 5th; and 25 Sammlung Deutsche Bank on view at the Deutsche Guggenheim Berlin from April 30th through June 19th, 2005. Two new publications by Thomas Struth have recently been published by Schirmer/Mosel, Munich, and will be available during the course of the exhibition. Museum Photographs presents the legendary series of museum pictures in its entirety in one volume. Thomas Struth: Photographs 1977-2002 is a special Collector's Edition with a signed photograph plus 2 cd's of classical and avant-garde music performed by Frank Bungarten (guitar) and Evan Parker (saxophone), based on a concert given in conjunction with Struth's retrospective at The Metropolitan Museum of Art, New York (edition of 300 + 40 ap's; German or English ed. 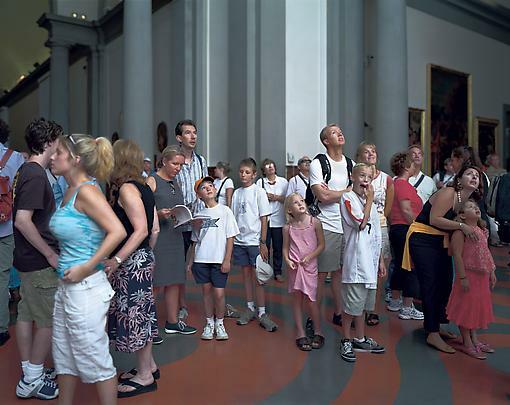 ; signed and numbered by Thomas Struth; available after April 18th).